Winter isn’t always the most popular time of the year, especially the cold and dreary days. Although, there is something magical about how it feels to see first snowfall or even better …..build a snowman! Remember how exciting it felt to stay outside until your nose and fingers felt like icicles from playing with snow? Cold winter days are also better when you have something delicious to warm you up. This is the perfect time to utilize some less known fall/winter vegetables. Until this past week I had never tried leeks. I decided to try them in a recipe and was pleasantly surprised. The way they taste and smell reminds me of celery, so it seemed natural to put them in soup. 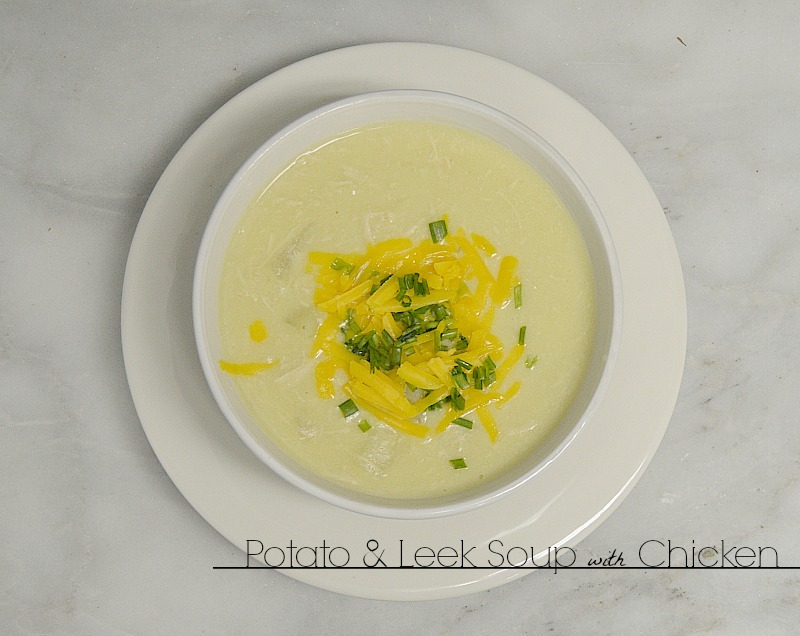 I wanted a hearty soup with some texture so I used the idea of delicious potato leek soup and put a little spin on it. 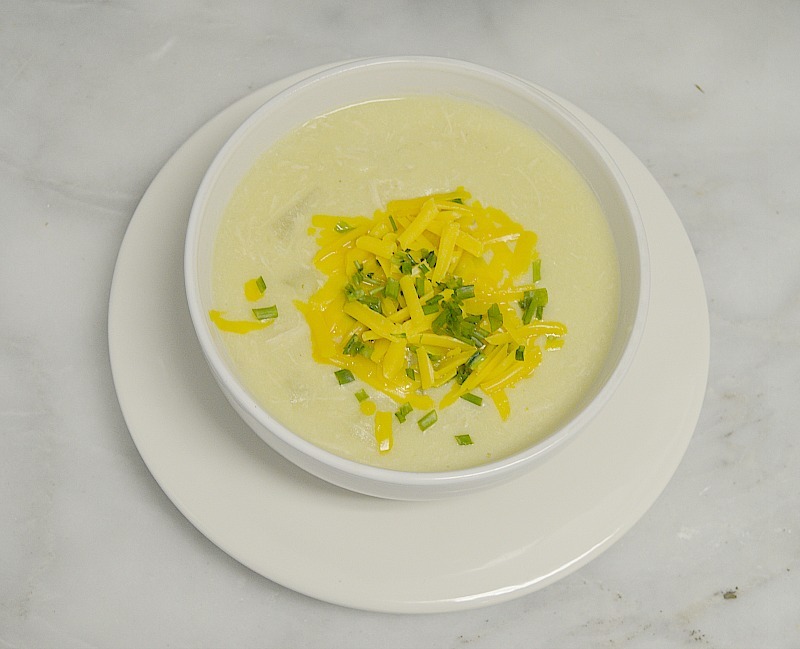 Typically, this soup is more of a puree, I added additional small diced potatoes and chicken for added texture and protein. This soup can be done a few different ways and is easily vegetarian. Simply omit the chicken and use a vegetable broth instead of chicken broth. See recipe for chicken soup. One 5–7 lb whole chicken cooked/ or two cups cooked and diced chicken. In a large pot place butter and shallots on medium / low heat. 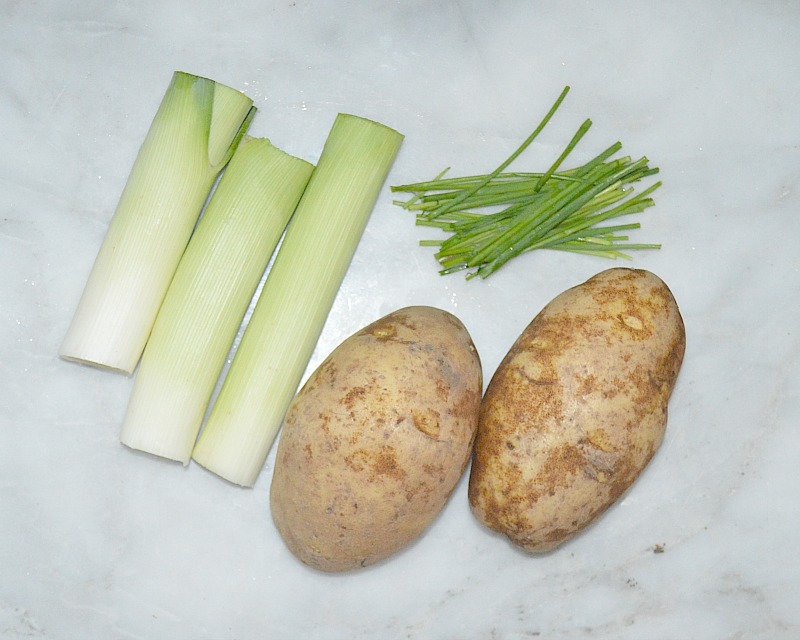 Prepare leeks by washing and peeling of all the green stalks and cutting off 1/2 off the bottom to remove stem. Slice into 1/2 inch pieces and place in pot. 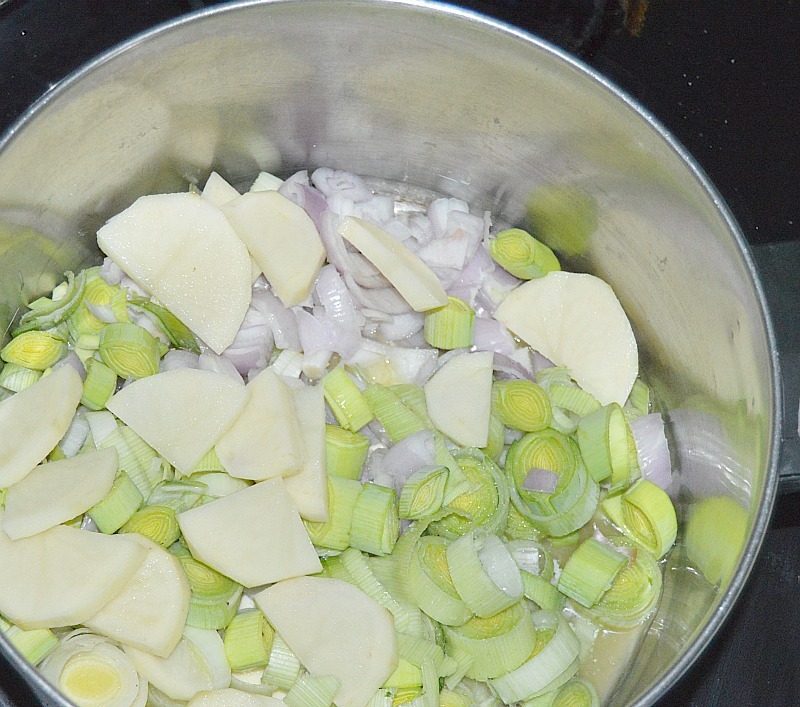 Wash and dice two of the potatoes into small 1 inch cubes and place in pot with the leeks, add a 1/2 tsp of salt. Dice the remaining two potatoes as well and set aside. Heat to a simmer and reduce heat to low, cover and let simmer for about 30 minutes or until leeks and potatoes are tender. When potatoes are tender add chicken broth and stir well. Remove from heat and let cool a few minutes. Then, in place mixture in a blender and blend until pureed well. Place the puree back into the pot, and add milk and sour cream and remaining two potatoes, cubes the same. Stir well, taste and add more salt a little at a time if needed. Add milk, sour cream, remaining potatoes cubed, and cooked chicken in cubes to the pot stir and continue to cook until potatoes are soft. Frequently taste and add more salt as needed. If you have a salty chicken broth you won’t need to add as much salt. I like to taste and add more as I cook. Salt can cook out so I always do a double check before I serve. Top with chives and cheddar cheese and serve. This recipe can easily be vegetarian, simply omit chicken and use a vegetable stock. Also if you prefer a puree version, cube all potatoes together and cook with the leeks. Then puree all together and add milk and sour cream and serve. The cooked leek and potato mixture easily blends really smooth. I added shredded cheddar in hopes if making loaded baked potato leek soup.. the only thing missing would be pieces of BACON! My audience I was serving didn’t like bacon….. (apparently, those people exist) so I tried without! It was still pretty good. 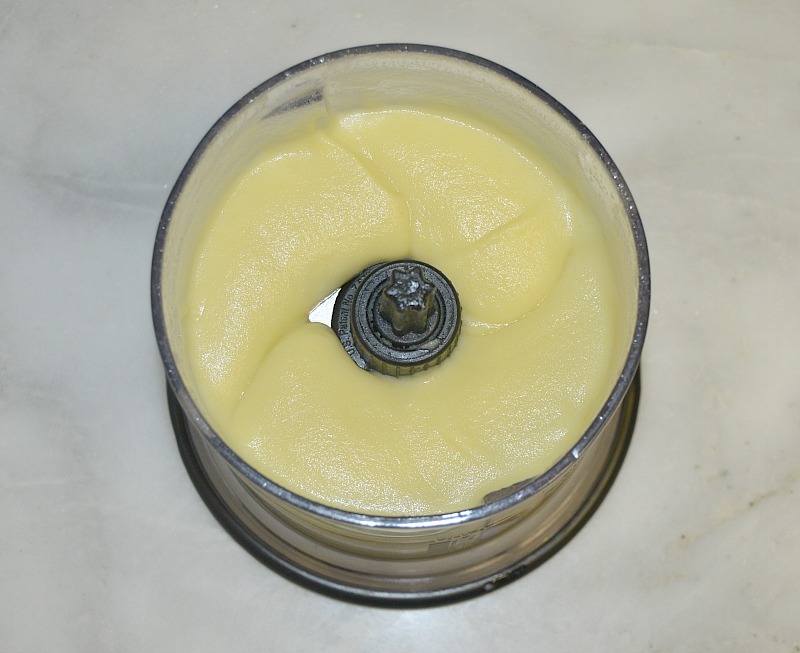 I have to admit that I was afraid to try pureed leeks, but I was pleasantly surprised.